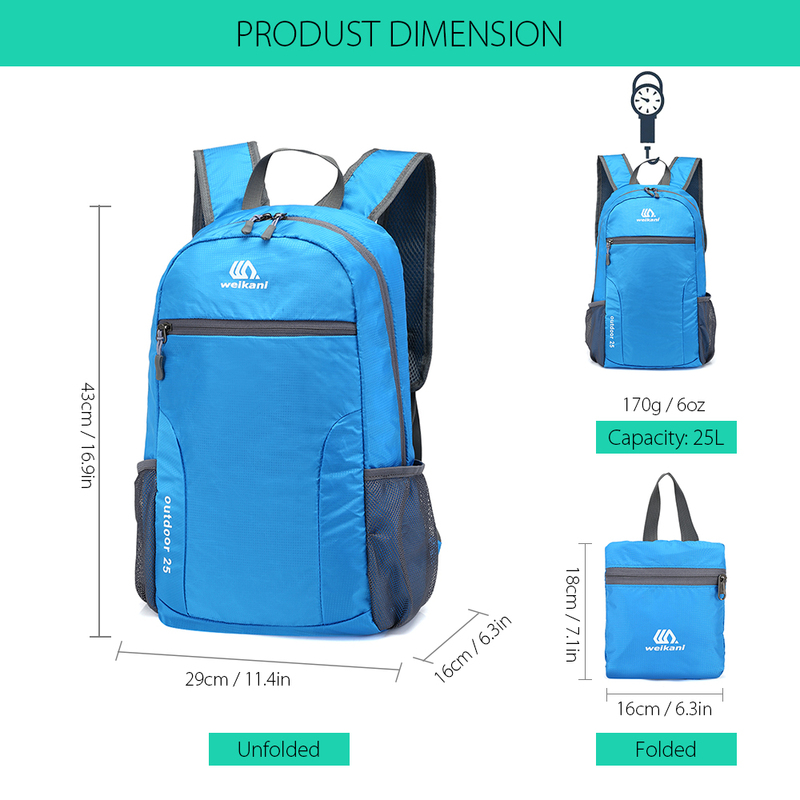 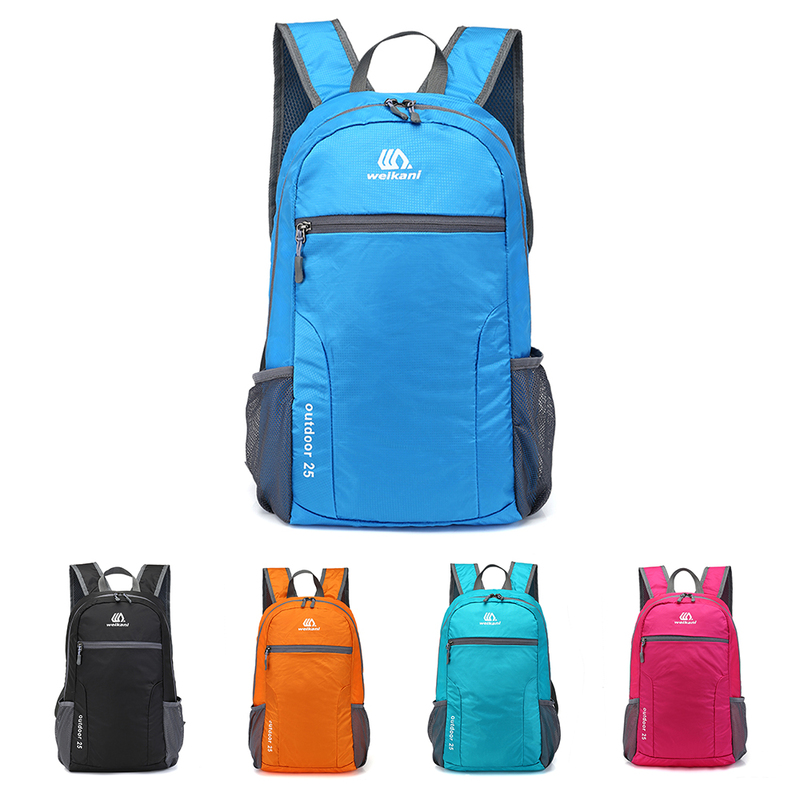 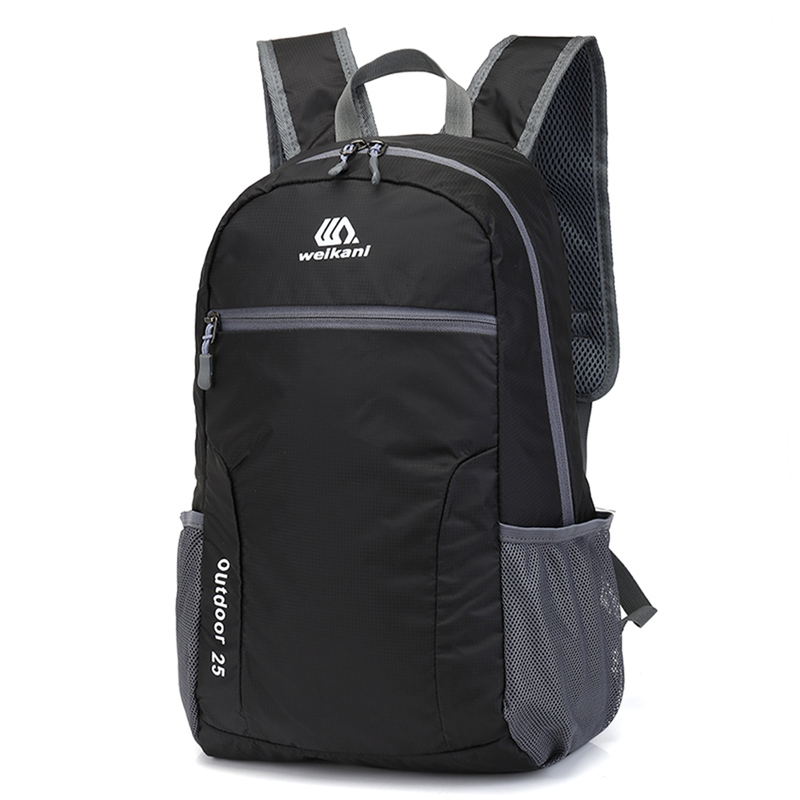 This backpack has a large capacity of 25L to hold almost lots of stuffs you need in the trip. 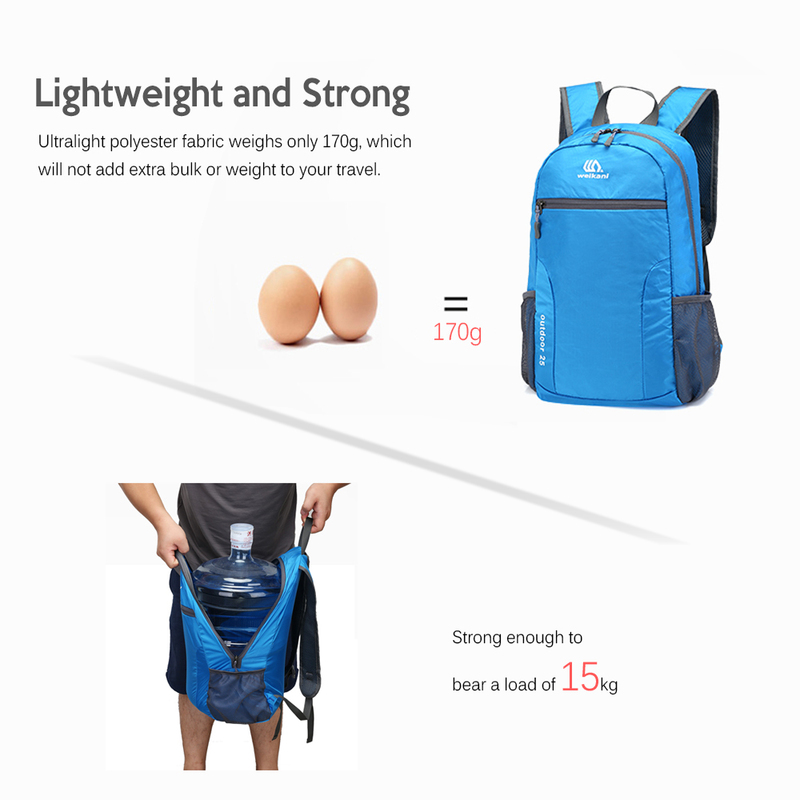 It can be folded into a compact size to fit anywhere for convenient portability, perfect for outdoor camping, hiking, cycling, traveling. 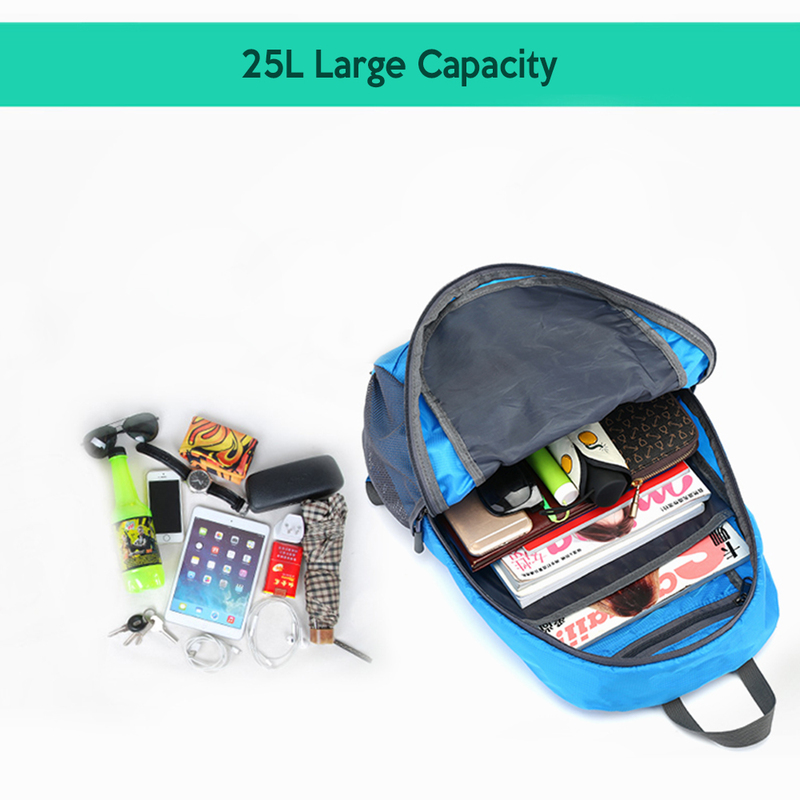 Folds compact into the inner pocket for convenient portability. 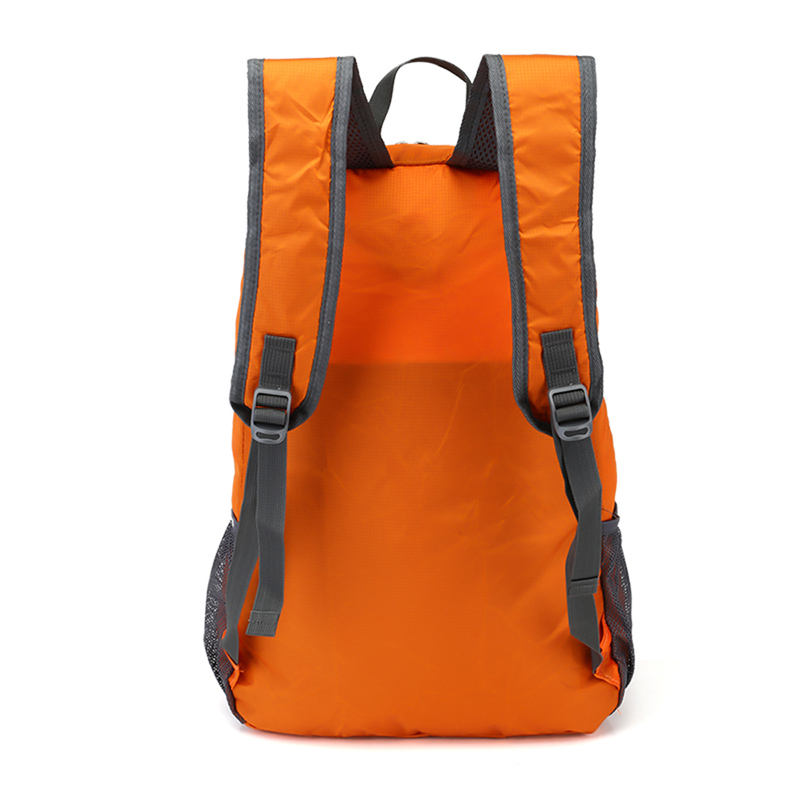 Unfolds from pocket to use as a 25L roomy backpack. 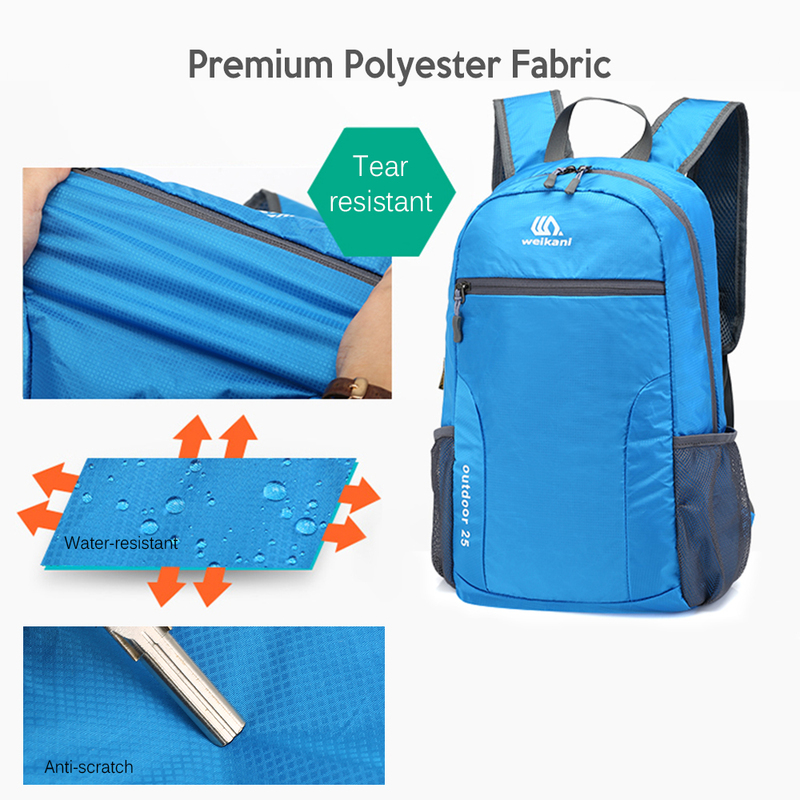 Ripstop, water-resistant polyester fabric provides durability with minimal weight (6oz). 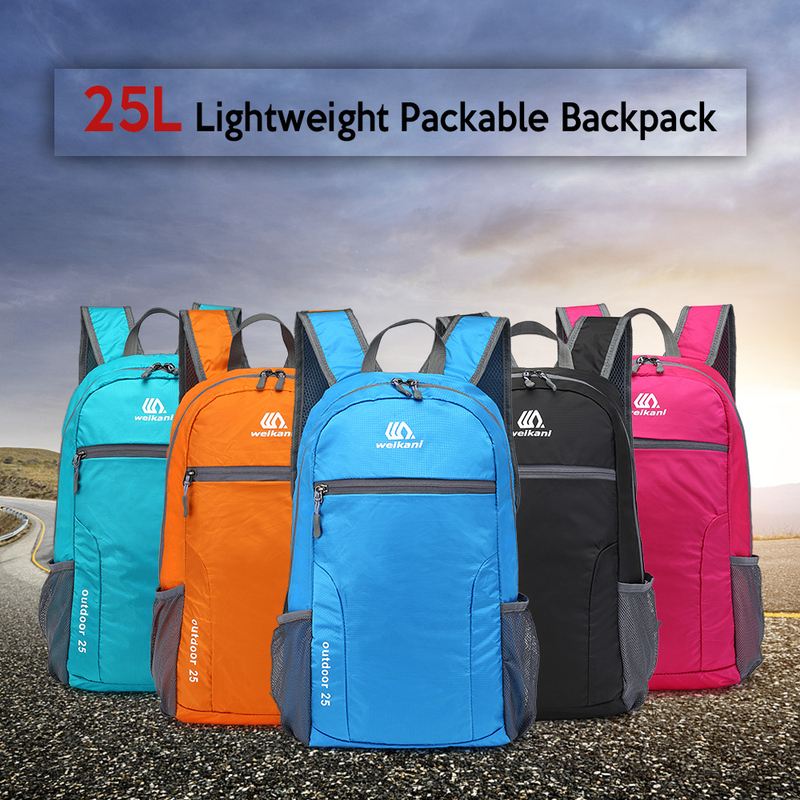 Spacious main compartment holds everything you need in the trip, with two-way zipper for easy access to your stuffs. 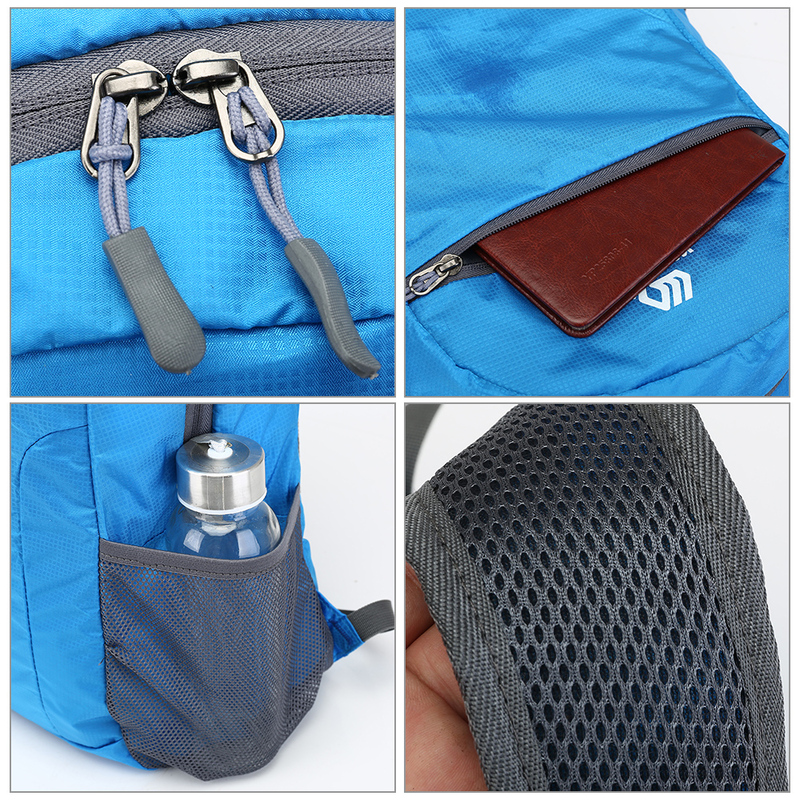 Two side mesh pockets keep your water bottle or umbrella handy. 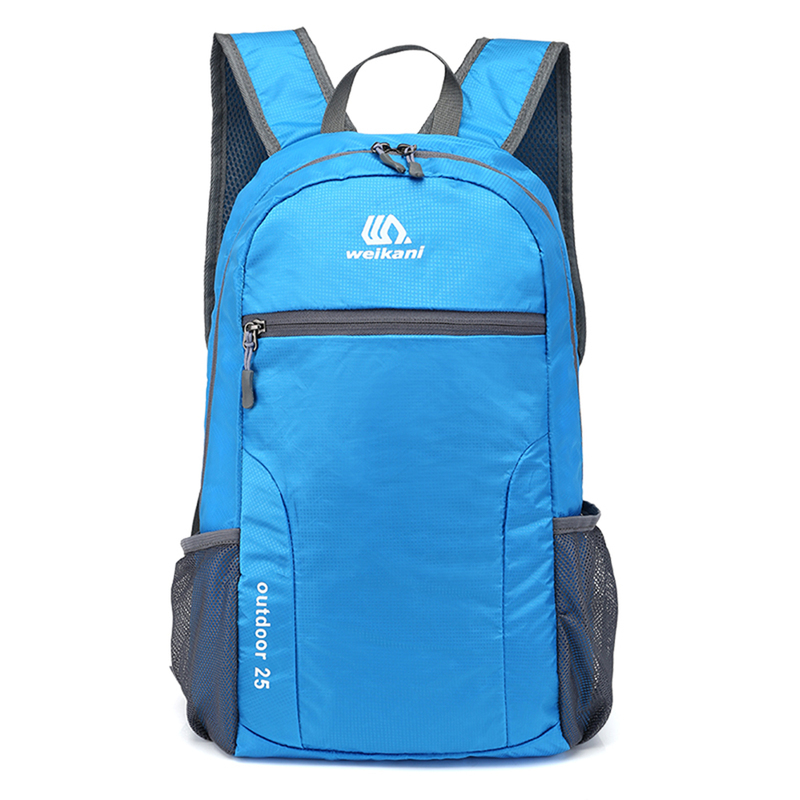 Adjustable breathable mesh shoulder straps for optimal comfort. 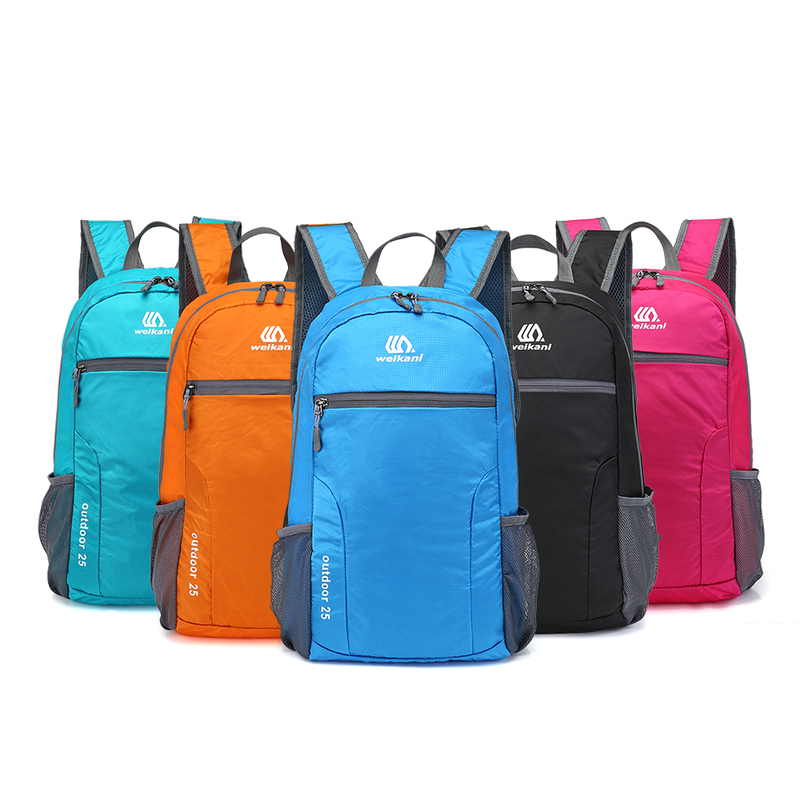 Perfect for day trips, travel, hiking, school, camping and shopping.